How To Teach A Child to Read In 10 Easy Steps - I Can Teach My Child! *Update: I have written a more comprehensive eBook with specific strategies you can use to teach your child to read. Get the eBook I Can Teach Teach My Child to Read: A 10-Step Guide for Parents as a PDF, Kindle version, or purchase a paperback ($9.99). When Do Kids Learn To Read? As a former first grade teacher, teaching children to read is one of my greatest passions! But because most children don’t start actually “reading” until around 6 years old (which is upwards of the targeted age range for my blog), I didn’t want parents to feel pressured that their 3-year old needs to start reading (which, by the way, they don’t!). However, the information shared below is general information that is beneficial for children of all ages, whether your child is ready to read or not. Don’t implement all of these strategies at once, nor should you expect your child to be able to do everything right away. Learning to read is a process and the information below is simply for you to implement when you feel your child is ready. Please also recognize that although the suggestions below are labeled as “steps”, they are not necessarily in consecutive order, nor are they in order of importance. The information you will find here is simply a guide to help you see how each of the components of reading fit together! Teaching your child to read is truly a process that begins at infancy. No, I am most certainly NOT advocating programs that claim to teach your baby to read using flashcards! What I AM encouraging you to do is to begin reading with your newborn within days of welcoming her home! Not only is ongoing reading time building a special bonding time for the two of you, it instills in her a love for books. Enjoyment while reading is one of the single greatest predictors of reading success in school-age children. If children don’t learn from an early age to enjoy reading, it will most likely hinder their ability sometime down the road. How much you read to your child is completely up to you and your family, but I suggest you aim to read at least 3-4 books a day, even while your child is very young. As she gets a little older and can sit for longer stretches of time, make it a family goal to read together for at least 20-minutes each day. Here are a few suggestions for the types of books to read to your child. But by all means, read whatever your child responds to and enjoys! Asking questions while reading to your child is not only great for encouraging your child to interact with the book, but it is also extremely effective in developing his ability to comprehend what he is reading. You see, if our main objective in “reading” is getting our child to “sound out” words, we have missed the boat entirely. Even children who can decode words and “read” with great fluency still might not be able to comprehend what they are reading. If a child can’t comprehend what he is reading, there really is no point to reading at all! While your child is a baby, ask him questions such as, “Do you see the cat?” while pointing at the picture of the cat. This will not only develop his vocabulary, it will also encourage him to interact with the book that he is reading. As he gets older, ask him to point to things in the book himself and make the noises of the animals he sees. Once your child is about 2 or 3-years of age, begin asking questions before, during, and after reading the book. Show your child the cover of the book and ask him what he thinks the story is going to be about (predicting). While reading, ask him what he thinks is going to happen in the story or why he thinks a character made a particular choice (inferring). If a character is depicting a strong emotion, identify that emotion and ask your child if he has ever felt that way (connecting). At the end of the book, ask if his prediction(s) came true. Afterwards, ask him to tell you what he remembered happening in the book (summarizing). Modifying each of these techniques during read-alouds to meet the developmental stage of your child is a great way to promote and increase reading comprehension! Even if your child is fascinated with books from an early age, her fascination will quickly dwindle if she does not see reading modeled in her home. If you are not an avid reader yourself, make a conscious effort to let your children see you reading for at least a few minutes each day! Read a magazine, a cookbook, a novel, your Bible…it’s up to you! But show your child that reading is something that even adults need to do. If you have a son, share this article with your husband. Sons need to see their fathers read, especially since it is not something that young energetic boys are naturally prone to doing. As parents, we can sometimes get wrapped up with what exactly our children should be doing to be successful. But we often forget that children often learn by example. Grab a book and take a load off…for your child’s sake, of course! 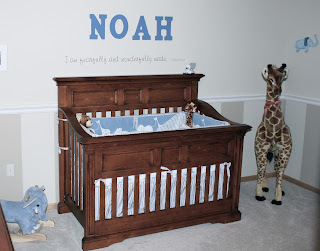 Before our boys were born, we painted and hung large wooden letters spelling their name above the cribs as a decorative accent in their rooms. I would have never guessed that those wooden letters would have such a learning incentive for Big Brother! Around age 2.5, he began asking what letters were above his name. That’s honestly how he learned to spell his name…and he can spell his brother’s name too because he has taken an interest in his letters as well. In technical terms, this is called “environmental print” and includes all of the print we are surrounded by–fast food signs, labels, traffic signs, clothing, magazines, etc. Often times, we want to force our children to learn letter names by a certain age. We buy flashcards or DVDs claiming to teach our children their letters. We drill our 2-year old over and over for minutes on end. Don’t buy into this…allow your kid to be a kid and take advantage of the “teachable moments” as they come along! Children’s minds are like sponges and are certainly capable of memorizing the alphabet from drilling, but that’s not the most effective method that will produce the best long-term results. Your child will be curious about the print he sees around him and will ask questions. That’s your chance to jump in with a practical application that actually has real meaning and significance to your child. Don’t misunderstand me and think that I don’t think learning the alphabet is important. It is certainly important…but the method in which we teach them is even more important! Always keep in mind that our ultimate goal is to foster a lifelong learner who loves to read, not a child who has simply memorized without any significance. Children learn best when multiple senses or areas of development are included. That’s why hands-on learning produces longer retention and more meaningful application. Once your child has shown an interest in letters and you have already begun to utilize natural settings for identifying those letters, begin implementing activities that incorporate as many senses as possible. Keep in mind that learning letter names isn’t nearly as important as learning their sounds! There are a plethora of ways to incorporate multiple domains of development in regards to letter recognition and early-reading skills. 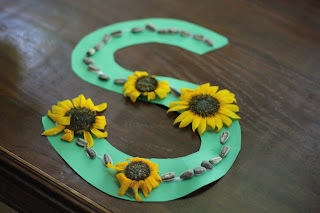 Alphabet crafts allow your child to learn the shape of a letter along with an association of the sound it makes all the while utilizing fine motor skills in the process of cutting, gluing, and creating! Playing games that involve gross motor skills (like tossing beanbags on the appropriate letter) are also wonderful ways to include movement. Of course, every child loves songs and rhymes! Take an inventory of your child’s strengths and areas of interest and target activities to fit them! Once your child is around 5 and can recognize the difference between real and make-believe, I would suggest starting to help your child understand various genres of books during your reading time together. This might seem complicated, but it’s really not. There are around 5 different genres of children’s books that I would encourage you to point out to your little one. Of course you can use the term “type” rather than “genre” if that is easier to remember. When children classify a book into a certain genre, they have to first summarize the book in their head and recall details. Then they have to use that information to decide which type of genre that particular books fits into. Finally, your child will be recalling details from other books in the same genre, making connections between the two. This simple activity that might take 5-10 seconds of your time after reading a book but it certainly packs a punch of thought and processing in that young brain! 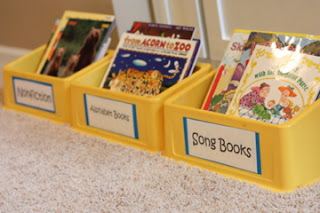 Also, it’s important to note that not all books will fit into one of these genres, especially books that are considered “phonics readers.” I would suggest that you do this exercise only with high-quality children’s literature, not with books that are attempting to get your child to “sound-out” on their own. Most picture books found in children’s libraries will fit into one of these genres. Remember, our goal is for our children to learn to comprehend what they’re reading…otherwise reading will honestly do them little good. When we encourage our children to think about and process the book we’ve just read together, we are inadvertently modeling what we hope they’ll one day do independently! To put it simply, word families are words that rhyme. Teaching children word families is a phonemic awareness activity that helps children see patterns in reading. This is an important skill because it allows children to begin “reading” by grouping sets of letters within a word. The first part of a word is called the onset and the last part of the word is conveniently called the rime. Word families share a similar “rime” as the onset changes. Once your child recognizes the word “mop”, he’ll then have an advantage to reading all of the other words that have the same rime (top, pop, stop, cop, hop) because only one letter is changing. Plus, recognizing rhyming words is a great language skill in and of itself! “Phonemes” are the smallest sounds in the English language (go here for a complete list of phonemes). These sounds are made up of consonants, short vowels, long vowels, and digraphs. “Phonemic Awareness” consists of learning those sounds and how to manipulate them within a word. Digraphs are unique sounds comprised of individual letters like /th/, /sh/, /ch/, etc. “Phonics” includes learning how to spell those sounds and the various rules that the English language follows. Phonics is an important components of reading/spelling, but it should never be the main focus. Again, we are looking to balance our literacy “program” with reading comprehension as the end result. Learning the rules of phonics is simply a tool that helps a child learn to decode and spell. I used the Pathways To Reading program in the classroom as my phonemic awareness and phonics program and loved it! It made learning all of the tricky spellings so much fun, but I wouldn’t recommend it until your child is in kindergarten or first grade. Decoding is often referred to as “sounding it out.” This is an important element in teaching your child to read, but it certainly isn’t the most important. Once your child knows the sounds each letter makes (which is taught in real, meaningful situations), she is ready to begin putting words together. When looking at a short word, encourage her to say each individual sound /b/, /a/, /t/, and then put them together “bat”. As children decode words with more frequency, they will become more proficient at automatically identifying that word. Sometimes this task is tedious, though, so it’s important to find creative ways to make it fun. When I taught first grade, I used to buy little finger puppets that my students could use to point to the letters as they were decoding. This was a huge hit and made this process so much fun! Sight words, also known as high-frequency words, are the most common words in our written language are are often difficult to decode phonetically because they don’t follow the rules of phonics. Because of this, they must be memorized. As I’ve shared with you before, I am not an advocate of rote memorization for optimal learning because I feel it only utilizes the lowest level of cognitive processes. However, sight words must be memorized in order for your child to become a fluent reader. There are a few popular lists of sight words that individual researchers have found beneficial, including the Dolche List and the Fry List. Don’t get overwhelmed when looking at this list…just start working on a few sight words at a time when you feel your child is ready. 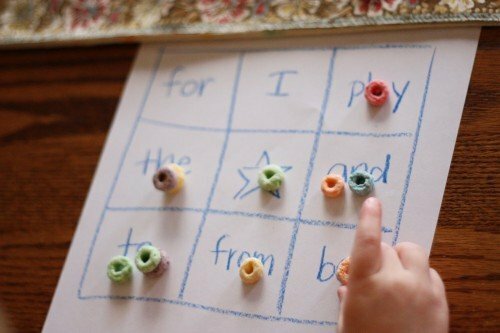 Activities like Sight Word Bingo can help make memorizing sight words more fun! As you’ve probably noticed, there is no “magic formula” to teach your child how to read. The points we’ve discussed in previous posts have highlighted simple, effective strategies that are easy to modify for your child. After all, every child learns differently! This series is not to be used as a “checklist” and think that once you’ve covered all the strategies your child will be proficiently reading. Rather, this series provides valuable information to you so that you can guide your child while creating a print-rich, learning environment to foster his/her growth as a reader. Don’t rush and don’t stress! While it’s important to take advantage of the prime-learning time, it’s even more important to let your kid be a kid! In summary, here are some practical suggestions you can implement every day based on the learning to read strategies shared with you in this post. Obviously, you can’t implement all of these suggestions with children of all ages, so use your judgement about what is the best way to teach your child to read. Ask your child questions before, during, and after reading. Look for letters while out and about and in the environment around you. When teaching letters and letter sounds, incorporate as many senses as possible. Read a variety of books and make a game out of guessing the genre. Encourage your child to sound out short words (consonant, vowel, consonant). Practice memorizing a few sight words each day. Most of all, have fun together! This post was first published Feb 2012. Updated 2018. Do you want to feel more confident about teaching your child to read? 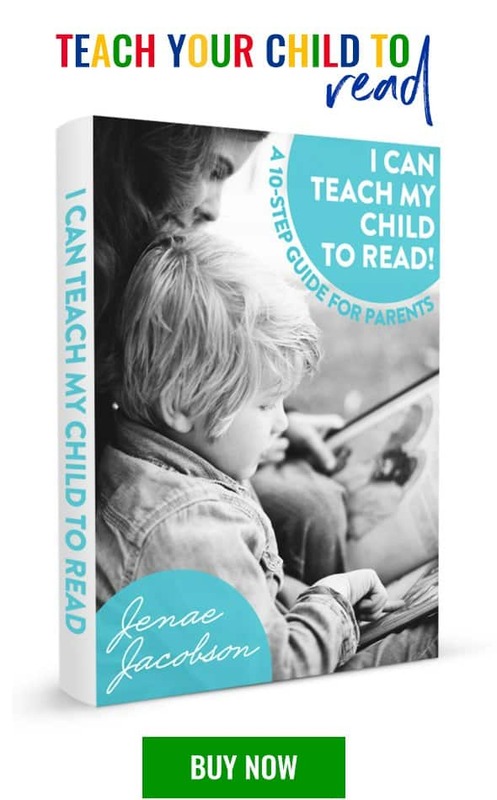 Get the I Can Teach My Child To Read eBook for just $4.99!!! Love this post!! As a former 1st grade teacher now SAHM, you summarized all of that so beautifully! I agree with so much of what you said! Thanks for sharing! I’m an educational psychologist that specializes in helping kids learn the sight words through pictures, movement, and creativity. I love the ideas in this post and was tempted to add more about teaching difficult sight words, but I got worried that I would sound like I was ‘pitching’ to your readers. So, I decided to just send you a message. Love your blogs. Wow that was so very informative! Thank you! Good article,I have trained my child for reading and writing with one of the online course it helped my child to read and write very fast , parents those who looking for full guide. Thanks for your post…can I ask you for some advice??? My 5 year old knows all the parts of reading, but isn’t reading on her own yet. What I mean is she knows all her letter names and sounds, knows how to sound out words, knows several dozen sight words, knows to read a book from front to back, top to bottom, left to right, etc. But something isn’t clicking. If I had to guess its like she thinks she should have every word memorized and she should just know all the words by sight, and if she doesn’t, then in her mind, she can’t read it. I’m at a loss to help her over this seemingly final hurdle. Sorry to bother you with my personal situation, but your post on reading caught me on a day that I’ve really been stressing over this. Any advice is much appreciated. Thank you for all you do, I always enjoy reading your posts! I’ve taught 1st grade for five years. I’ve also taught 2nd and 4th. From my experience reading is not only about word call and decoding. Your child needs to look at the print, slide their finger under what they are reading, get their mouth ready and sound it out. Work with word families and use an easy reader that has the word family in it. When you begin a story reload the vocabulary. You can use magnetic letter, dry erase markers on a table to to sound out main words in the story. For example if you have an easy reader that uses the family -op, then work and teach words that are in the story like mop, top, etc. Then when the child sees the word in print in the context of the story they should be able to recognize the family and use decoding skills to figure out the word. Don’t ever tell them the word b/c then they will get use to having someone read the words to them and they do not use the strategies taught. One last thing, your daughter is only five. Fluent reading normally doesn’t kick in til mid first grade. She just may not be developmentally ready to just pick up a book and read. Keep doing what you are doing and use the suggestions above and you will see progress. Don’t stress. Your daughter is already ahead of most of her kinder peers already. Well if you are teaching him nicely he will learn better, if he has some kind of disability it will be even harder. Make reading for him fun! I would echo everything that Mrs. T said, including the fact that your five-year old is already achieving many of the skills that we wouldn’t expect until first grade. So don’t stress about it! :) Easier said than done, right?!?! Also, try to have a balance of you reading to her “just for fun” (perhaps some of her favorite picture books) and then her reading to you (very simple books with few words). The one thing you don’t ever want to do is stifle a child’s love for reading or being read to. Try the Bob books starting with the blue box 1. it will get her reading. my boys taught themselves to read with the bob books. They learned the letters from leap frog and sight words from learn the sight words DVDs then they just taught themselves to read using bob books. After the blue box we went to the sight words purple box. Then level 2 yellow box then level 3 red box. They cost about $10.00 each. Now they read level 1 books from the library and other series books. They get 1 piece of candy for each book they read so they come to me to read a book. Sometimes they will read 3 or 5 books in a day so they can have a piece of small candy for each. What happens when there’s no candy? The most helpful parts to me were the age guidelines (tho I realize these are fluid/individual)….so may I ask what ages you recommend for the other activities not linked with an age in this post, please? I would say that no earlier than around 4.5-5 you could start working on just a FEW sight words and maybe word families and “sounding it out” using games. But be sure to make a game out of it as this point so that it won’t turn your child off to learning these important concepts when their in kindergarten, first, and second grades. Excellent recommendations and guidelines! We’ve found that audio books, ebooks and apps can also be beneficial to building skills and fostering a love of reading. Thanks for the informative summary! What a great post! May I ask for some advice? I am homeschooling my 7 year old daughter. Our curriculum has her learning about 15-20 new vocabulary words a day. She has a bit if trouble. She can read a sepecific word, and then have to read it in a sentence on the next page and completely blanks. What do I do? How do I handle this? She also tends to see a letter and assume what word it is (ex. Haul- she read as “hug”). How do I help her get through this? I have not been able to find any resources on reading for a 1st grader. Also what level she should be at, if that even matters right now. Your help would be greatly appreciated. Thank you. Hmmm…it sounds to me like maybe you need to look around at some other supplemental reading curriculum out there. When you say that she is learning 20 new “vocabulary” words a day, do you mean that she is supposed to memorize these by sight? If so, I think you might be better off spending at least a little bit more time teaching elements of phonemic awareness and phonics (to where she will have the skills to actually learn to decode a word and not just memorize it). I used a curriculum called “Pathways to Reading” (linked to above in the “phonemic awareness section) in my first grade classroom and it was AMAZING! It taught all of the vowel sounds as well as blends, digraphs, and phonics rules. I would say that with ANY reading curriculum you use, you need a healthy balance that focuses on: reading comprehension, phonemic awareness, phonics, sight words, and vocabulary. Hope that helps! Sorry, but I feel the need to brag here, so please forgive me. My little one is 4 years old and almost at 4th grade reading level. We are currently reading chapter books and after each chapter she is ask qustions about the chapter and she always gets it right. SO, now I have a question for the teachers (former and current). We have been working on writing and on coloring and she will only do it when she wants to. How I can I make writing and coloring fun so that she will want to do it more often. While that is certainly quite an accomplishment that she is reading at the 4th grade level at age 4, I find it a bit ridiculous to brag about. As a mother of a 4 year old, this would annoy me if you were chatting about this at the park. Our kids develop at their own speed -it does not make one better than another. I know I am responding to an older post; however, I will go ahead since it may benefit someone else. Since it is now spring, take your little ones outside and practice colors, shapes, numbers, letters, writing, etc. using sidewalk chalk. It never fails to entertain and teach at the same time. Sounds like you’re doing a great job with your (now) 5 year old, just don’t be sucked in to pressuring her to handle more than she is ready to handle. “Grandma Sherbert” this is what I do too! I keep sidewalk chalk in full supply. They can trace, and trace over your letters. They can play ABC hopscotch, while we sing the alphabet. I have 2 kids, one is 4 and the other 5 (and tend to be close in learning capabiliites i.e. learning toghether, helping each other). The outside elements can be used as learning support. Start taking it one step further, and find the ta-ta-tree that starts with T and ta-ta-teeth starts with t too, well so does the number two! Why push them, as a PSYCHOLOGY MAJOR, the only issues pushing a child will create, (such as the 4 year old reading at 4th grade level shame-shame-mommy) the child will develop anxiety issues, confidence issues, relational issues, and the harder the pusher the more you will see Obsessive compulsive disorder, and did I say multiple anxiety realted issues, perfectionist issues, acute shyness can occur as well. All things, that later on, your child-teen-or-adult will be sitting in my office over. CONFUSION over what is normal, what normal even is, and why no matter what you try you cannot acheive that feeling of just being plain ole’ normal, due to the over-expectations your mother had. You then have them for yourself, and suffer miserably! I wholeheartedly agree with zandcmom, while a four year old child reading on a fourth grade reading level is a great feat, the child is clearly lacking in age appropriate milestones. It’s like learning to run before they crawl… it’s not that it can’t be done, it’s that it SHOULDN’T be done. Allow the child to be a child. Why should it not be done? Unless it is stressing the child out or forcing him I do not see why it “SHOULDN’T” be done. That is a nice analogy but I don’t see how it is a valid one. Just because a child I advanced or allowed to be ahead of the game does not mean they are not being allowed to be a child. Maybe he is gifted maybe not perhaps he is interested in learning. Children love to learn so yes I agree Let him be a child. I totally agree that kids should have fun yadda yadda.. but some kids indeed is gifted there is nothing wrong with that and “judging” the mom is pushing etc is very narrow minded…..all kids are different some has 100 IQ some has 150 IQ , it is genetic + environment. Students think of something that has happened to them personally, sketch a picture, and then write about it. They may start by just labeling the picture, or they may be writing several sentences. I sometimes draw lines for each of the words they tell me, so they can see where they should be writing (for example, if they say, “I went to the park.” I would draw __ _______ ____ _____ ________). This article is phenomenal!!!! Thank you for emphasizing the importance for creating a love for reading and not a ‘system’ for learning to read. I’m a 1st grade teacher and mother of 2 preschoolers. Even with all my background knowledge on teaching children to be successful readers, I still find myself stressing out when it comes to my own children by comparing them to others (mainly family members around the same age). I’ve always said there’s so much more to reading than just sounds/words on a page. I look forward to reading more on your blog. Wonderful post. I forwarded it to my husband. Very well said. I know my mother who teaches 2nd grade would agree. Robyn – At four, I would say that the important thing is not to specifically get her to colour or write, but to have general fine motor skills. Do open-ended crafty and arty things which are about having fun and experimenting, not producing a specific outcome like a coloured-in drawing or something that looks like a word. Look at pictures of different styles of art and talk about them with her, encouraging her to observe the detail, and have feelings and impressions about what she likes and doesn’t like. Encourage any fine motor activities that she likes, and don’t stress if writing or colouring is occasional. Writing probably feels very laborious to her if her other language skills are so good. Have you tried offering to help her write a story and just get her to help you with the occasional letter or word, so she feels like she is getting a story out that has the complexity she’s interested in without getting stuck on the work of manually getting down the first few words? I’d perhaps look at incorporating little moments of writing or drawing into daily life, rather than being a task in and of itself. So perhaps you could make labels for things together, or you could play a game of snakes and ladders but introduce a new rule that if she lands on a snake she can go down the snake or draw a snake or write an s (the choice is hers – I’d avoid making it something she has to do as well as going down the snake cause then it will seem like a punishment rather than an opportunity to escape a punishment). Look at ways to make games of it that make it a bit more exciting: eg. (“Let’s see how small we can write your name? Can we get it smaller?” Then take chalk or water and a paintbrush out to the footpath and say, “Now let’s see how BIG we can write your name?”) Decorate soaps, glasses, and t-shirts. Write in the sand at the beach or playground. What excellent ideas! Something I did with my kids (and now do with my grandchildren) is keep my shopping list within easy reach then ask them if there is anything they need when I go shopping. They write it on the list since I’ve told them I will forget if it is not written down. My daughter got her first book from the hospital at birth ;). I love that hospitals are even promoting reading at birth. Can I just say I hate hate hate sight words. My middle daughter is 9 and sight words were the death of her. Now that she is being taught all of the rules and exceptions through the Wilson program she is doing much better. I get that most kids learn to memorize sight words, but not all of them do. And I truly wish so much stock wasn’t put on memorization in reading. Especially since the amount of sight words or high frequency words they expect children to memorize seems like an awful lot of words that don’t follow the general rules of reading. They can be taught to break down every word. My oldest did fine with sight words though so I know my middle daughter is probably the minority here. However, I have also noticed that my oldest doesn’t have the skills to break down a word she doesn’t know the same way my middle daughter can. Yes, it certainly is a balance! No greater emphasis should be put on one area over the others (with the exception of reading comprehension). Sight words are typically extremely beneficial for early readers who get frustrated when words don’t follow the “rules”. This is the only area of reading where I feel like memorization is beneficial, in context with all the other reading strategies, of course. I think the only downside to having children “sound out” (decode) every single word is that it impacts their fluency, which can also have a negative impact on comprehension when it takes 2 minutes to read a single sentence. Thanks for sharing your thoughts! I am always amazed to see how different my two children are and I’m sure this will be even more apparent as they get older. I originally came to your site for the homemade detergent recipe. I had no idea you were a 1st grade teacher. I’m a current one and this is about the best dang advice I’ve ever seen for parents. I’m very tempted to print it and pass it out at Meet the Teacher! Although, by then, it might be a little late! I am a retired teacher and have read a lot of info over the years on teaching reading. This post is direct and easy to follow outlining how each step builds on the next. Thank you for one of the best explanations I’ve read anywhere on how to teach a child to read. This is indeed a wonderful post! I have a 14 month old who loves his books. I will be socking this article away for frequent reference. I will note, however, I found the odd reference about how men are not prone to reading very strange indeed. Perhaps I am just unusually fortunate in this respect, but so many of the men in my life adore reading, that it struck me as quite false. I am, in fact, married to a male librarian who loves to read and is beyond thrilled that our little guy has begun grabbing books and bringing them over for him to read. But that assertion aside, an excellent article. Thank you! Consider yourself blessed to be surrounded by men who love to read! What a great example for your children! Huh. I had no idea. The hubby will be rather pleased that he is exceptional in yet another facet…. I have a question about having your children see you read…. My husband and I read a lot, but mostly on-line… Kindle, iPad, even our newspaper… will this translate to what you mentioned above? Does our 5 year old understand that we are reading and not “playing” on the computer? Thanks so much for posting this! Our son just turned 2 and LOVES reading books. He would have us read to him for hours…in fact when his grandma comes over I think she really does read to him for multiple hours through the day. We read board books about trucks and tractors and animals and also read a lot of Dr. Seuss and Bible stories and Curious George. For many months now I have set aside time for him to color with crayons and I would write down the alphabet or short words and go over the letters. We sing the ABC’s a lot and have worked on his saying vowels. He began to recognize the letter “A” in many places at the beginning of the year. Last week we were at the doctors office and there was an alphabet rug and he began naming them through “F”. And he just got an etch a sketch for his birthday, so as I wrote down the first few letters of the alphabet or wrote down his name he began naming them! I was amazed! Not that he does it perfectly but I really didn’t know the capabilities of a 2 year old. I’m really wanting to find more fun ways to encourage him but not push him too hard in it. I look forward to putting your suggestions into practice as he continues to learn! p.s. I hated to read when I was little (I really didn’t enjoy the public school reading curriculums) but now I love reading. My husband loves to read even more than I do and so do the men at our church, young and old. In fact, one of our friends grew up in a home where his father literally had thousands of history books and had read most of them. Now his son is also an avid reader. Hey would you mind letting me know which webhost you’re working with? I’ve loaded your blog in 3 different internet browsers and I must say this blog loads a lot quicker then most. 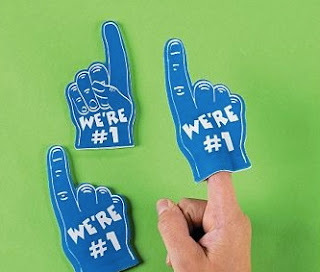 Can you recommend a good web hosting provider at a fair price? Thank you, I appreciate it! I’ve read to her since she was a newborn and she loves books. She likes me to read the same books to her over and over. I ask her questions about the story, she looks at the pictures and, without my provocation, she loves to study the pictures and talk at length about the story. I realize now, thanks to your suggestions, that while she is not sounding out and decoding, she is comprehending the actual story, which is more meaningful and productive. Awesome! I needed this post to show to my parents of my preschool we are learning but maybe not with pencil and paper all day long like my generation grew up with. We use tactile learning for letters in salt trays and we do the letter cut outs and song books etc… everything mentioned. Thank you very much! I am sharing this today. Hi, my daughter is 3 years old (turning 4 in 2 months) she also knows the letter’s names and sounds, and some sight words, and she reads a lot of simple words, but with words that are not very familiar for her, she will only say the sounds of the letters of the word, but can’t actually say the word and sound all the letters together :-( like she would see the word “glass” and would say the sounds of each letter separately not being able to say the word.. Should I just tell her the words so she can try and remember for next time, or should I wait until she gets it by herself? My little girls who is 5 can read quite a bit for her age I feel, if based on Biff and Kipper books then she is about a level 4 and heading to a level 5. She can do a lot of word building BUT, i think she feels that because it seems difficult to her then she doesn’t particularly enjoy reading…I have to work really hard with her to get her to focus and to actually pick up a book, otherwise I don’t think she would bother..This worries me greatlybecause as we all know if reading is not something you enjoy then life will be more difficult for her than if she enjoyed it. We play games at home, she even plays the Cbeebies games n my computer and I try and get her reading the instructions so i’m trying to expose her to words in as many varied ways as possible…I do do the big praise aspect with her when when we learn new words or we read a page etc, and she is read to every day…..Has anyone any more advice please…. Great advice! It is so important that children develop a love of reading, even more so then developing the actual skills! May I ask if you would be willing to review our reading program. It is called The Reading Lesson. I will be happy to send you a copy. It the best there is. I should know. My mom who is the author taught me to read with it many years ago. And now thousands of people use it. In fact it is number 1 best selling reading book in England, and number two in the US. Thanks and keep up the wondeful site. can as well produce exellent content for us that read it. Definitely looking forward to your next post. You’ve covered all the angles. I too have a passion to teach reading! Excellent! Love this post. It is incredibly information and helpful. I was a little anxious that I was not doing enough for my 3 year old and 10 month old but seems I am. SO THANKYOU!!! This is a wonderful post with *so much* great information!! I’m pinning it–thanks for sharing!! Great article! It is SO important to keep our kids focused! I started this business 5 years ago and it has been so amazing impacting so many families. My favorite client was a 3 year old boy, Mikey, who had trouble BEGINNING to read. 5 years later, he STILL loves to read! He can’t put the books down! His confidence was the most amazing impact on his family. I gotta say, I love my job! Hi, Very Good post.. Thank you for sharing this post. I love this! I am a preschool teacher who has been stressing a little! My 4.5 year old son has been challenging me… he is clearly showing signs that he is ready to read and I have no idea where to start! You have no idea how happy I am to have come across your blog about reading… the fact that its not memorize ABC’s, memorize sounds, etc but rather comes from a more natural learning has made me so happy! I have come across so many teachers that are no longer worried about letting children learn through their interests and it has turned into a very formal rote learning which makes me cringe. So YAY!!! Thank you thank you thank you! Tomorrow my son and I have a game planned where he is going to think of a word, which we will sound and and decide what letters are in it… and I will write out words that he will try and sound out to read! We are both very excited! Hi. As you will see once reading my post, I’m feeling awfully desperate & unable to sleep over issues my kindergartner is having in school. He’s an “older” kindergartner (6.5 y.o.). I have done all the things in your list. He loves me to read to him, and I do often up to an hour 1 day (books of HIS choice). Once he joined kindergarten, I started hearing that the work is too hard, that he hates reading, he can’t read, won’t be able to for a long time, he’s a terrible reader, etc. Early on…probably 3 weeks into the year, they had a 20 sight words screening/test & then placed all the students in reading groups. He seemed upset by the requirements. We were told for homework, to have him scan his finger across the sentences of these black & white scholastic books…example, “I like pizza, I like corn, I like apples, What do you like?” He would get so upset and clearly extremely frustrated by being asked to do this process. The teacher was willing to remove him from the reading groups which seemed to reduce his anxiety some. The class, together, recites out loud the 20+/month sight words they are expected to learn via smartboard. He knows none of them. From my vantage point, this seems to be difficult for him. The teacher says he’s doing “great”. He still occasionally says negative things about his reading ability / confidence. This concerns me greatly & shared this w/ teacher. When the other kids rotate b/w free play time & their reading groups, he’s allowed to do free play but he spends alot of that time @ the computer car games (school considers apart of the free play curriculum). It’s now January & now they will begin journal writing & small sentence writing. I’m certain this will be something he finds frustrating. On one hand, I’m trying to determine whether it’s healthy for him to continue being in this environment or not. Have you ever seen kids move from 1 environment to another mid-year & do well? I’m considering just pulling him out to homeschool w/ more tactile, multisensory methods of learning for the remainder of the year but just not sure what is best. There is more pencil/paper/worksheets as compared tactile, multi-sensory methods of instruction and that is not how he learns best. He often says the paperwork is “too hard”. Last week he said he was scared to go bc of this. I’m very concerned about his confidence; wondering what the environmental impact is of him not being there is )ex:(a number of them are reading accelerated readers). The teacher feels he does not notice this but I don’t get this sense about how he sees himself. He’s very intuitive. I’m not sure what to do but just want to do what is best for my child. For many months now, since October, I have been observing other schools classrooms, visiting them. Most expect these kids to read by spring. And most seem to be. Mine does not though I have done all the things you have posted. Given all that I have said, do you have any recommendations? I believe in respecting where kids are developmentally & it seems to me he simply is not in a place to perform at this level though the teacher seems to think he is doing great. My daughter is also the same. I have been having anxiety for my child not being able to catch on. My daughter turned 6 in December. She can only recognize a few letters in her name. My oldest daughter, who is 8, is a great reader, and my youngest daughter, 3 1/2, can also recognize most of the alphabet and is starting to sound out small words. We read to them every day. I also feel desperate to help my child as I do not know how I can help her. I have been giving her alphabet worksheets and doing the best I can at home. Very informative post and helpful. i like almost everything on it. thanks for the great work. I love your post. As a teacher, I really like postings that can help me to be a better teacher. I learnt a lot from your postings. i am quite thankful for the info i found on here. its very helpful! As a teacher and miter of two girls (2 and 5) I was thrilled to stumble on to this article! I love seeing this advice being shared with parents. Learning to read is so much more fun for everyone when the child is interested and when parents don’t feel thy need to push. So important for kids to be kids! Thank you. Thank you! Amazing article. I will try some of your tips definitely. i love and find your post as the foundation and the grass-root for reading which we are lacking as AFRICAN’S God bless you for giving us this lovely, educative, and beneficial ideas thank you. What about bilingual kids. My 5 year old daughter can read and write in Japanese some- sounding out words etc. Not Kanji yet of course but she cant do anything in English. I am afraid to push her. She only recognizes and writes a few letters and knows some of the sounds. Where should I start? We live in Japan and I have noticed she is starting to struggle more with English. I only speak English with her and when she was really little used to read to her and do lots of things with English puzzles and blocks and things. Soon she will start learning Kanji and I am afraid because it is so demanding English will get lost. How useful is it to use a tool say a ruler or any piece of paper as a guide to show which line of sentences you are currently reading? Or maybe just point to the words and glide along as you read through the words? I just found your post! Thank you for the info! I was looking because my daughters teachers wanted to keep her back in Kindergarten because she is not reading yet, and they wanted us to “do a lot of catch up work to get ready for 1st grade”. She turned 6 at the end of January. You say that they are not expected to be reading until mid-1st grade so why are our teachers so persistent that she should already be reading? (They kept my son back for the same reason, I was even lied to by the Special Education Class Teacher on what type of books, how many words, length of the books they should be reading in first grade to help me make up my mind.) She loves to be read to, she is also the youngest and the older 2 have always done everything for her (ie talk, answer, cleaned up, carried her, etc), even when I tell them not too. I think this is why she won’t read for herself. can you help me this time?im a new teacher..and im having a problem what to teach first to teach my pupils how to read. Thanks for a superb guide on teaching one’s child to read. My son loves being read to and is good at comprehending story-lines. He started school four months ago but is not progressing as fast as I’d like with learning to read. He is behind 2/3ds of his peers. Reading all the posts has made me realize what I already know and that is I should just relax about it and not pressurize him. We’ve been playing a word family card game recently and he is enjoying that. Thank you for sharing this! My son will be entering K soon, and we have been working with him on reading skills, but have not really known how to go about it. This is awesome! I find it weird that most of these things I have never even thought of before, but jumped right to “These letters make this word” lol….I still have so much to learn. MY DAUGHTER IS 6 DOING GRADE 1 SHE IS VERY GOOD WITH NUMBERS BUT IS TO SHY TO READ AND IDENTFY LETTERS. SHE IS ALSO STRUGGLING WITH ALPHABETS DIFFERANTIATION MOTER ESPECIALLY THOSE WHO ARE FAMILIAR SAID. Thank you for this informative and encouraging post. As my husband and I are both avid readers, we naturally did all of these steps with our oldest child and he learned to read before he was 4 years old. We didn’t do videos or flash cards, just a natural progression and I agree it is a wonderful approach. He just finished kindergarten and reads 4th grade level books with great comprehension. It is such a joy to see him love reading, but I have to keep reminding him to put his books down while walking in parking lots!! I also like that you encourage parents not to force reading by a certain age. I’m finding that my next 2 children do not have quite the same interest/ability as he did so early, so we are employing the same steps and taking it at their own paces and working with their individual strengths. Thanks again. Enjoyed your writing! I have a 9-year old I teach private extra lessons after school. He is not a native English speaker; I am in Nigeria. His ability to pronounce words is quite poor, and I want to teach him how to read, but I don’t know the most effective technique to us. Please help me. Thank you. Thank you so much for your article. I was one of those parents who wanted their child to be reading by age 2 and other unrealistic expectations like that. I bought certain programs promising my baby would be able to read, and she didn’t! I do not push her anymore and just spend a lot of time reading with her. Thank you for your article and I will definitely use some of your suggestions just to keep up with her love of reading. I totally agree that reading to your baby is one of the most beneficial things you can do for your child. However, I do think that it is an amazing blessing if your child can read before the standard age of 6. If they know how to read, they can get lost in the magical pages of books – developing a love for reading very early on. Did you ever use any DVDs with young children to help them learn to read? I have used several programs with my children – although my favorite is MonkiSee – and have gleaned many wonderful results. Do you support educational DVDs for teaching babies to read? Have you ever used any? Hi, This really is very interesting and informative. I have an 11 year old and he still struggling with reading. Right now I am paying a private school for him, “They claim they can teach him” But I am very concerned, he is an amazing kid and he is so smart, but when it comes to reading, even if someone mentions it, he gets very frustrated, he loves books, he would love to read like all the kids his age, I have hundreds of books at home, and I read to all my kids, I always try to promote this skill, to encourage them (specially him) I just don’t know how to help him, I feel like I am not doing a good job as a mom, just because I can’t make him learn as fast as he want to. Have you asked him if letters, words or lines seem to waver or change places? Can he remember what it says when he or you read each page? Try coloured overlays especially yellow or even blue or red. Thank you so much! That was very informative! nous-mêmes sommes encore dans cette course. Entiers les mot de défilé ne sont foulée piratés à la première tentative. notre serveur et nous-mêmes les décryptons. Comment pirater facebook? C’est simple, groupe sur le chaton juste au dessus. Great article, check out learn2kids.net for even more information on teaching your child to read. We found some really great ideas at http://www.GetKidsReading.tk and highly encourage everyone to check them out. Thanks for article 10 steps to read. Good ide and inspirations. God bless you. My son who is around 2 and half years old now has started writing. He can write all the alphabets and words he remembers (he knows spelling of around 60 words). He just has trouble writing N, M and S. Please tell me what is the average age by which kids start writing. Has my son picked up the skill little earlier? How can I further enhance his skill? I just e-mailed you the PDF version. Please let me know if you continue to have problems. Thank you for the information and to everyone else with their questions/replies. I am a single parent who has just recently started reading heavily with my 5 year old. He is aware of the sounds and has a few of the basic words down, but struggles with reading. This really makes me frustrated, but after reading this post/comments I am glad to know that what I am forcing him to do is way ahead of his time. Pushing him to read every night and being angry when he doesn’t remember might hinder him from future learning and I definitely do not want to do that. He truly enjoys the last part of the night where we open the books together and I want that feeling to last forever. I greatly appreciate the advice and will completely back off of my son as he still has time to grow into reading whole stories. Due to a late birthday he is currently in Pre-K so I think the pressure of wanting him to do well in school, being a single parent, and my own childhood misfortunes are having a negative impact on me. I plan to regroup for tomorrow nights reading and take things a lot slower with him and make sure that he knows that he is doing a great job. Thank you so much for you have saved me from me in a way. Have just started some early reading skills with my granddaughter aged 2 and three quarters. I have read to her and introduced her to books from just days old! Recently she has been pointing to words and asking either what they say or do. I must admit that I am a retired teacher of support for learning here! I am using the ‘Puddle Lane’ series which I used to teach her Mummy to read..
She is not really ready for sounds yet although has some, but picture recognition, word shape, comprehension and memory will aid her to decode when she is ready. Books are a magical time to spend with your child, from a very early age, bath, fabric and basic board books are a great way to start. Hi. I came across your page quite by accident as I was so frustrated with trying to get my son to read. He received absolutely no instruction in Kinder and now, in first grade, is terribly behind and I am at a loss as to how to help him. He will see a word, can sound it out, but if you turn the page, it becomes a totally new word. He doesn’t remember what he has just read. He can spell his word wall words like a champ, can write dictation like a hero, but reading? He is failing miserably. I am so worried he will fail first grade because he can’t read. I don’t know how to help him. I have just purchased your book, but it seems as though I have failed him already as we did NONE of this prior to school as I had no idea about any of this. How can I help him learn to read at this late stage in the game and save him from failing first grade? Thank you for your response and suggestions. There are times that we both feel frustrated and lost. I’m glad that kinder teacher isn’t at his school any longer else whole class will have the same issues. I failed to mention that there are 4 other children in his class that can’t read either and they had the same kinder teacher. I will read your book and being to implement the suggestions from your book and email. Thanks again. I’m a K teacher and it seems that you are more interested in blaming his former teacher for where he is in his development more than anything else. Since this is a whole year later….I’m sure that he has picked up reading. However, I just want to say as an educator of 15 years who has a reading specialist endorsement, that reading is developmental—and each child is in a different part of that developmental process. As a parent, you are truly your child’s first teacher. Please revaluate pointing the finger at the teacher–as I’m sure that there was learning taking place in his classroom after all! Hi, thank you very much! Reading your posts really enlightened me. You have advises that change my view on how to teach my son. Most of the times spent teaching my son reading made me impatient, my son saw me very frustrated which I felt he became frustrated as well. And I felt so sorry every after sessions we had. I was the one so pressured. Thank you for these words “concentrate on making reading fun and enjoyable for both of you” It really tells me that I am the one who lost strategies. Please pray for me as well… Thank you. I love this post. I agree with so many things in this post… comprehension is more important than blurting out words..finding real world examples for words..
As a mother with a struggling reader I just want to say THANK YOU. This little phrase changed everything for me: there is no “magic formula” for teaching your child how to read. Yes! Finally someone writes about ragnarok skill simulator. My daughter is three and a half. I have decided to home school her, because that’s what i think is best for her, and because she is already interested in learning. She picked up the alphabet almost instantly,(Alphabet song, if I remember right.) and she has already learned the sounds of every letter. (Except q and x, she knows what they are just has trouble pronouncing them.) She is improving significantly since I started (three days ago)) on sounding out 3-4 letter words. My question would have to be, where do I guide her next? I don’t want to skip something to fast and her not completely master it, or go over something so repeatedly she gets tired of it. Like you said, learning should be made fun whenever possible, which is the approach I try to use. What is your opinion? I wanted my kid to do home schooling, and my DW and I are his teachers. This article really helps us to achieve our goal. I would recommend purchasing and reading my eBook “I Can Teach My Child to Read”. It goes into much greater detail than I am able to in this post: http://www.icanteachmychildtoread.com. It is very important that parents especially the mother has the initiative to be so attached with the needs of her kid. At an early age it is very important to enhance their mind to many possibilities. Reading them a book at an early age can help them analyze things, so even if they cannot still read when they reach the certain age where they should learn to read it is easy for them to get things clearly. my child is 9 and cant learn read ,haw can i help for him read. you stumble upon that includes without impart one major deemed. expansion plan inside the future when your business plans magnify. I really love this post. I have a 2yr old and have been trying to find how to teach her to read at home, aside what she learns at school. Hi, I have a friend who lets her 6-month old son watch “baby can read” videos every day. She did the same with her older child, who, at 1 year old, is able to “read” words. Her daughter can decode common words such as house, but when the letters are jumbled so as to form another word, she couldn’t read it any more. I now have a one year old daughter. She’s recommending that I expose my baby to it too. What is your opinion on this? on the exposure of children to screen media? Another great free tool my mom used to teach me to write is by drawing shapes on the sidewalk with paint brushes soaked in water. My mom recently wrote a book explaining how she taught me to read at 3 and my sister at 2. Its really brilliant and the ebook is only $5. Its on amazon and called, A Thrifty Parents Guide To Teaching Your Child To Read Write And Count. In April I graduate with my doctorate and even in my doctoral program my friends commented on how quickly I read and assimilate information. I wish every child’s parent taught them with this method. I have a 7 year old with autism. He is in public school autism class (first grade). When he was a toddler all he wanted to do was listen to books. Now I cannot sit him down. He literally fights me and my 3 year old (who is homeschooling) makes it harder because she gets jealous and throws fits during the time I try to make him sit down and look at a book. He is nowhere near reading now. Hi, I enjoyed even though I didn’t get to read it thoroughly yet, I would like to ask for help. I am thinking about teaching reading to children between the ages of five to twelve years old and would like to know of a book I can order that can help me. Thanks for your time. God bless! I was in the same type of position you were! I totally understand where you are coming from…. teaching children is not the easiest thing to do. It took me a very long time to find the perfect solution. I HIGHLY suggest this book for any mommy who needs help teaching their kids to read. It worked wonderfully for my children emma & mark! I don’t agree with this 100%. 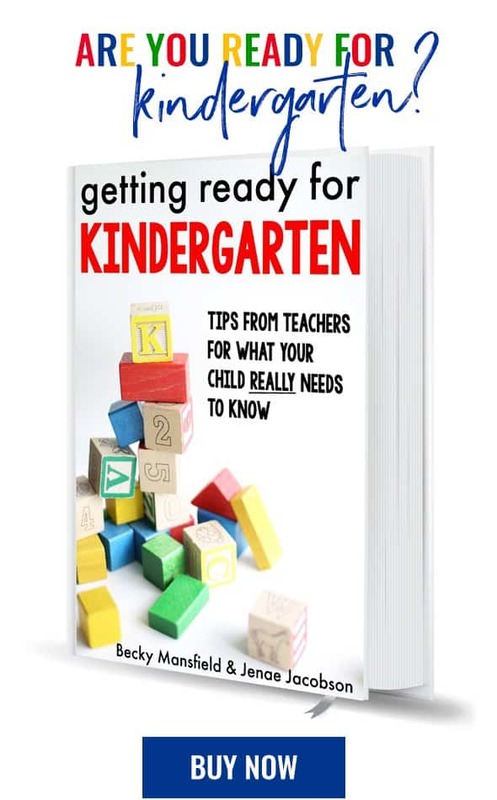 There are a lot of great helpful tips and ideas listed here but my son learned how to spell AND write his name when he was 1.5, by age 2 he knew the whole alphabet by sight and sound, he’s almost 3 now and he has been taking an interest in reading. He asks his father and I (his mother), “What’s that say?” as he points to a word and after we tell him the word or even sometimes a sentence he’ll start spelling it out. This summer I am going to get serious about teaching him how to read and I do believe it is possible. Do I think he’ll be reading perfectly at a 1st grade level? Definitely not but even if he learns how to spell 5-10 words then he’s still learning how to read (he already knows how to spell 3 words) so technically my 2 year old is already starting to read. Thanks for all of the great tips listed here. I do find a lot of them helpful. in order for it to work with your PC. Great list, and wonderful summary. I particularly love the emphasis on making it fun and creative and incorporated into different aspects of life. I used a very similar list when documenting my experiences teaching my kids to read at howitaughtmykidstoread.wordpress.com. I’ll definitely be using your post in a future post of my own, and hope you will take a look at my site and let me know what you think. Thanks! My daughter is going into the 1st grade. She knows 200+ sight words. When I read to her she is lazy. She will not sound out the word, and sometimes I have to fight with her to read. What can I do? I also feeling helpless to teach to my girls child, she is very stubborn and not obeying any of my advice, reason being that we both are working and she left with her grand parents and felt alone till when she is not completed her 4th birthday and now she is totally out of our command. We love her but how to teach, is a mystery for us. I just discovered this post and I love all the ideas listed in it, especially #5. I’m a retired 4th and 5th grade teacher and now I spend half the week watching my young grandsons. As a teacher, I loved using multiple intelligence strategies to help plan lessons that would engage my students and help them retain the concepts that were being taught. I now have fun finding and using such strategies to teach my grandsons their letter sounds, and reinforcing the concepts they are learning in their preschool and first grade classrooms. Thanks so much for this informative article! Fantastic tip, thank you so much, I will start doing this right away on how to get them to do what you want effectively.in this article and some others I have found on this site. I struggle still knowing what to do in many situations. We have rules in our home that I feel like are so simple, but my six year old breaks them constantly. I think a few more examples of dialogue would be really helpful. Hi! My son is 17 years old and he does not enjoy reading at all. I have realised that he can read but cannot comprehend to what he is reading and so is bored . Please help or give me some suggestions which will help me to motivate him to read and comprehend what he is reading. I know i have missed those formative years of his childhood. But i believe nothing is impossible. First of all, I would encourage you to find something that he ENJOYS reading. You might look up some lists online for books for teenage boys. Or perhaps find some books that have been made into movies and encourage him to read the book and then watch the movie. Then you can talk about the differences between the two (which is a good comprehension exercise). I would also encourage you to find some books on tape that he can listen to. My husband really enjoys these and it is easier for him to comprehend when listening rather than when reading. Hope that helps! Hi :) First of all, that’s a bunch of useful tips you posted here Jenae! I have a lovely six-year-old daughter and I’ve been trying to start teaching her how to read for a few months now. I went through a lot of parenting forums and tried so many things, but what seems to work for her is simply playing educational games on our iPad ;) She’s got loads of them but the one she likes the most is called ‘Flincky Mouse’ and I’m even happier since we’re using Polish at home (my husband is British, but I’m from Poland) and the app comes in Polish as well. We’re also trying to read to her as much as possible and I hope she’ll appreciate it in the future! Anyway, thanks so much for the article and see you around. This is very informative! Thanks for sharing. As a former teacher and passionate literacy advocate I couldn’t agree more with your 10 suggestions Jenae. I found them very well explained, succinct and straight forward. Thank you for supporting so many parents out there who so obviously are seeking further information to improve their children’s reading abilities. Thank you so much, Sandra! I truly appreciate your feedback! I’m also a former teacher – and reading at infancy is the key! I began reading to my granddaughter when she was 2 months old. By 1 year, she knew the correct way to hold a book and turn the pages front to back. At 2 years 6 months – she began reading! She is now 2 years 11 months and reading at the 2nd grade level – I’ve tested her! She reads at least 10 books a day. “If children don’t learn at an early age to enjoy reading, it will most likely hinder their ability sometime down the road.” I do not agree with your statement. My mother worked to support her family, and I didn’t have the opportunity to read books until school. I learned to read at 5 and was very successful throughout school/college. Not every child has the opportunity to be read to, or even access to books. Will your book be going on sale again any time soon? I just discovered your site and missed it by a few weeks. It is still available…it is just full-price. :) I only run the half-off sales two (at the most three) times per year. Sorry you missed it! I really take a huge advantage of it, while I can. thanks guys, I really love to teach, well I’m not a former at all, but in my native language (Spanish) I do it. I encourage my little child to learn things about life, she is 2 years old, and she knows almost how to speak Spanish very well, I play the piano for her, I read books about kids stuff to her, and so she will become a lover of knowledge just as her father does. my 3 1/2 year old hyper active daughter knows her alphabet and I am trying to teach her to real the two letter words “in, if, is, it , of , on “. However she does not seem to be able to differentiate between “if” and “it” or “of”. however I am not sure if she can’t differentiate or she is not interested. How to teach a child who CANNOT sit quietly. TahnksChandra and Jenae, I learn another idea in dealing with my kids. Have a nice day ahead ladies. Every parent should read this. I wish I practiced this type of early reading with my son . He is 13, still no interest in reading books. I’m conjointly a former teacher – and reading at infancy is that the key! i started reading to my grandchild once she was a pair of months previous. By 1 year, she knew the right thanks to hold a book and switch the pages front to back. as student at university reading special education for individual with intellectual disability I like your steps and it has help me so much. Hi! I have a 5 and 4 month old daughter who is really interested in learning to read. She won’t start kindergarten until the fall as we are in CA. I love these steps and they help A LOT. I’m wondering if anyone can chime in with how much to put into this now and over the summer before she starts kinder. She seems ready. Would I look into a program like Pathways to Reading? Or just keep it simple and focus on basics? What about ABC mouse? She knows all her letters and most of the sounds (though she sometimes forgets) and seems to enjoy sounding out words together, but maybe only 2 or 3 before she gets bored. I’m in no rush, but she seems ready. Great work! Some fantastic ideas on your site. So glad I discovered it, I’ll be back! Can you recommend some books for 2 year old and 5 year old? How do i teach my 4 year old to read or identify words? Firstly be animated in your voice! It is good to teach your child the letters of the alphabet and their sounds. Once you have this concretized you can move on to simple word families such as ‘at’ and ‘an’. You can do games such as having your child try to add different letters before the word family to form different words such as cat, mat, sat etc. Also have your child match pictures to words. You can also use http://www.starfall.com when doing this activity as there is stories which follow after your child has learnt the words. It is also good to teach your child high frequency words. Model reading and also read with your child. I do not even understand how I stopped up right here, however I assumed this put up used to be great. Check out http://www.GetKidsReading.tk for some really great ideas. I know they helped us out a lot. it’s a spam link. That’s just evil, man. I really like the Genre and word bingo idea. Reading early really works. Popo would flip through book pages way before she could crawl even. It wasn’t reading…it was loving the concept of a book. She’s 5 now and I’m reading The Lion, The Witch and The Wardrobe to her. I thought it would be too advanced but we read a few pages a day and she asks to read it at bed time. She doesn’t know the movie exists and I can’t wait to watch it together when we finish the book! Awesome! Thanks so much for your comment, Sarah! Terrific post! My 4 year old is starting to ask me what random words start with and I have known for a while it was time to move forward with “reading” but didn’t have a clue how to proceed. Alphabet games and crafts will be great to continue learning letter sounds. Also, thank you for using wonderful pics of completely normal home crafts (“S” and the bingo game), and not dolled up pinterest ones. It feels accessible to everyone. Thanks Daneille! So glad you found the info useful! Hey Jenae, a bug thanks to you. You don’t know how much you help me to write this article. We have a 6 years old boy. He is too much sharp and active but he don’t like to study sincerely. And now I’ll follow your tips and I am pretty sure that It’ll help me a lot. I appreciate this article so much as a librarian who gets asked all the time how to get kids to read. I’ve gotten more blunt about saying, “it starts at home” but I love how you’ve put it all together! Thanks for these ideas! I’ve got a (just turned) 2 year old, and he loves his letters. And he loves when I read to him. I feel like he might love learning basic words (which letters form the words he already likes to say), and then he would REALLY love reading. Most of these ideas are advanced for him, but I gives me some ideas for moving forward. Thanks! If you want children to read (and have fun doing it), just buy them an adventure or video game. Text adventure games, visual novels, choose-your-own-adventure gamebooks etc. have copious quantities of reading. Just don’t make them do too much sport. Especially rough contact sports. That’s very likely to result in concussion and brain damage. Furthermore, The contents are masterpiece. you have done a fantastic task in this subject! Such good ways to make reading fun for kids! Being a working mom, I home-school my kids and always make sure to read a bed time story to them. Thanks Jenae for sharing this post. I will surely start using these tips and make the reading and bonding time more fun. i really like this site. i was looking for some ideas on how to teach my 3 year old boy then i found this site.Thank you for this.. all of your ideas is very interesting. Thanks for sharing these great tips. I like to read bed time stories to my daughter and sometimes I read inspirational stories like the ones from Chicken Soup for The Soul series. My girl loves learning and she seems to be very interested. I guess this is a way to keep her vocabulary growing and improve her reading skill too. I have read to my daughter since she was about 2 months old. We have made reading a habit most nights and sometimes dad even joins us. However, she hasn’t seemed to pick up on any words so far. She is being taught to read in school, but I am worried that she isn’t learning as fast as she should. I feel like I’m doing something wrong. Is there a way I can help her? Being tought to read by granny at the age of 3,5 – 4 I’ve been worried about my 4,5 years daughter and her disability to read words very much. While playing we could learn just letters. She just guesses the whole words never trying to read them. Once I stumbled the story, very similar to ours. Parents suggested to try the course of reading learning ===>> goo.gl/9lR45w <<===. Their review sounded like a fairy tale, but we decided to try, for that was like the last chance. I felt disappointment for I was not capable to teach my kid how to read. And the mirracle occurred! Ann started to read! Now wile we are 5 we can read rather big and serious texts. Sometimes she asks to let her to read bedtime story to her younger brother who is just 6 months old. We hope he will start reading much earlier for the course promisses potential even for kids younger than 2-3 years old. Teaching a student via songs and poems can be a great idea. My father apply this strategy in his school. Child Care Courses will also be beneficial. But from my point of view, from the day your baby is born, you are a teacher of spirit. If you create an atmosphere of trust, openness, non-judgement, and acceptance, those qualities will be absorbed as the qualities of spirit. In a perfect world, parenting would come down to one sentence: Show only love, be only love. But in the world we all cope with, children grow up to face much non-loving behavior, primarily outside the home but sometimes within it as well. Rather than worry about whether you embody enough love to qualify as a spiritual teacher, look upon spirituality as a skill in living, since that is what it is. I believe in imparting these skills as early as possible by whatever means a child can understand. how long did it take your child to learn how to read? It is definitely a steady (and at times slow) progression and it will be different for every child. I honestly can’t really estimate how long it takes…because it ultimately depends on your definition of “reading”. Some people consider “reading” sounding out words. I consider a child a reader when they no longer have to sound out the majority of words and can read steadily with inflection. I came across here from the #1 of google results for “how to teach your kids to read” keywords. I learn much here with your high valuable posts. Thanks a lot Jenae. I’m very appreciated for your kindness to share it here. Slow and steady wins the race! We may not move quickly but the kids are happy and everything clicks at some point. When that happens, a non-reader can turn into a bookworm overnight. Me I used eBookids.com, its a free e-library, you can find so much ebook for our babys and childs! My boys spend all there time on it ! I agree with much of this, but I find children can be taught basic sounds and words early. It is fun, kids enjoy it if it is properly presented and they are confident when they start school. Hi, I’m Spanish and I’m an English teacher in Spain. I’ve only spoken English to my son since he was 1 year old. He’s four now. I have a problem which I’ve realized is quite common. My wife doesn’t speak any English, so I speak Spanish with her, so Spanish is the language at home and in the street. What’s my problem? Before he started school last September he used to utter some sentences in English , but his use of English has been reduced since then. I googled my situation and other people’s children go through the same problem. Some suggested initiation to reading and that’s what I’m tring. Any other suggestions which may be useful. My kid is able to understand ABSOLUTELY EVERYTHING I say and cartoons in English, but I would like him to speak it more often to me. Any suggestions are welcome. I have bought a game called Zingo to work on sight words. I found this blog when googling *teaching kids to read*, and it was the first one on the list. As a teacher and parent of a toddler, I find this blog very informative! Thank you! If you have some time, would you please check the links and update? There are many broken ones. Much appreciated! Thank you for this post. Just curious where you got or where I could find the yellow book caddies in the pictures above. Thanks! It is good to know that helping children to understand different genres of books can help them read better. It would be helpful to show them the difference between nonfiction and make-believe. Something else that I have heard to be effective is to make sure the child knows what is going on in the book by using pictures and small discussions. I agree with much of this, but I find children can be taught basic sounds and words early. Thanks for the information. Teaching your child to read is very important to their future. Hi, my name is Chenny. my son is 24 months old. I didn’t start reading to him as a child. How can I start teaching him to love reading now? thanks. Hi My name is Melissa, my daughter is about 16 months now, any good online program anyone could recommend ? Thank you @Jenae sharing best value of online resource for us. I love most of what you have advised. However, PLEASE rethink your comments on “sight words.” Memorized words have to go to the right side of the brain which has little language. Sight reading is the main cause of dyslexia. Training a “right brained” child to send words to the right brain (that child’s normal default) is a recipe for dyslexia. There is really no need to memorize any words by sight. Take a look at those in the bingo game pictured. ALL of them can be easily sounded out. If you teach your child all 70 English phonograms (Spaulding’s “Writing Road to Reading,” Sanseri’s “Spell to Write and Read” and many others), there will be very few words that can’t be easily sounded out once you understand how “said” is the past tense of “say” and the y is changed to I before adding the d.
I have just discovered your site, really interesting! I love your concept of parents being the child’s first teachers. You have won a follower! Hi, I just wanted to say that I don’t have my granddaughter memorize any Dolch word that can be sounded out. Only the ones that do not follow the rules of phonics are the ones I have her memorize, like; one, two, though. etc Even then, I usually show her that there are patterns that can be followed like ‘tion’ always sounds like ‘shun’. Can u please suggest what idea can I manipulate and do his work easy. A useful article, although with learning to read we have never had problems. Having 3 children I can say this: It is necessary to remember that the child perceives the world through movement. What about the memorization of letters? Draw huge chalk letters on the asphalt or stick on the sand, walk along them along with the child. Make letters of dough, wire, plasticine, etc. Maximize the ability of the child to perceive the world through the senses. Play in the “riddles” – “draw” a familiar letter with a finger on the back of the child, let him guess it. My sister keeps complaining about her daughter being a slow learner, the daughter is 6 years. I have just forwarded her this link. It will help her tremendously. Thanks for sharing! Another thing I think is important to remember is to not get frustrated. When it comes to reading, things that seem “obvious” to you aren’t obvious at all to someone who’s learning to read, but when you forget that it can be easy to get frustrated because your child isn’t understanding that seems so obvious to you. Go into it knowing that you’re going to need to be patient! It will definitely give you a new level of appreciation for people who teach children as their profession. Another thing I think is important to remember is to not get frustrated. When my son first learned his letters (about 2), we took our time in parking lots. Stopping to ‘read the cars’. ie license plates. The letters are fairly random so it gives some variety. Gets number recognition as well. Thank you so much! This is what I need to find. I didn’t know that reading out loud to your child is so important and beneficial. I think that it’s a great way to bond and help your child learn to recognize words. I will have to implement this into our routine as I start to raise children. Thank you for sharing the great post! Thank you so much for this informational tips. I refer this post to my sister in law. She require these types of post. I also told her to purchase an ebook that listed on your website. Thanks for watching with amazing results. I highly recommended. What do you think about it? Thanks for sharing. Love this post, I agree with so much of what you said! The most helpful parts to me were the age guidelines (tho I realize these are fluid/individual)….so may I ask what ages you recommend for the other activities not linked with an age in this post, please? Thanks for sharing! An awesome article that highlights how to get our kids to read good books and boost their English vocabulary and comprehension. Truly a useful article for teachers and parents.